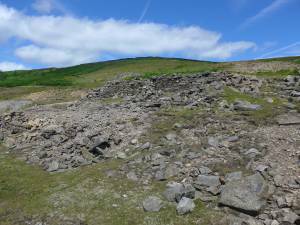 Record Description The geology of and mining in Apedale are described to a greater and lesser extent in a small number of sources principally Dunham & Wilson(1), Raistrick(2,3)and Spensley(4). This record is a brief introduction to what may be observed on a short walk in this interesting and picturesque valley. 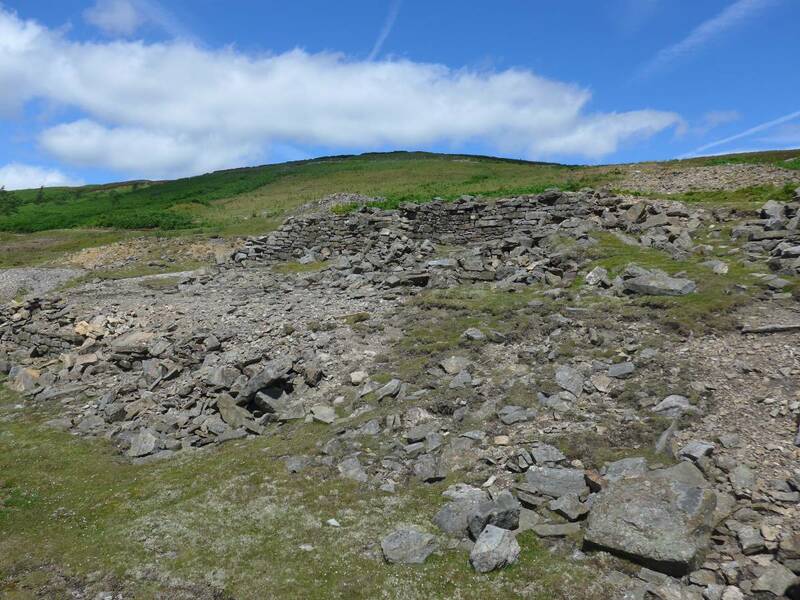 There are the remains of two smelt mills in Apedale, their locations clearly visible on the 1st edition OS map; one at what is now called Dents Houses SE 0304 9423, the other, referred to as 'Old Smelting Mill (Lead)', at SE 0200 9400. 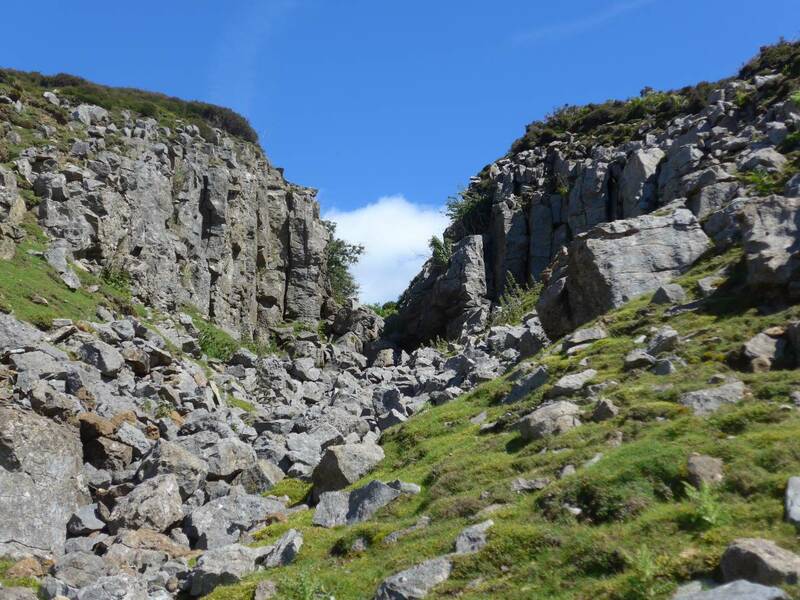 One or more seems to have been working from the mid-18th C to the mid 19th C.
Once past Dents Houses a line of shallow shafts follow the Apedale Head vein to the North of the track. 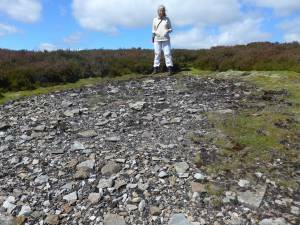 Further up the track at SE 01865 94567 are the sizeable remains left by the Apedale Mining Company which sank Apedale Shaft there in 1868. 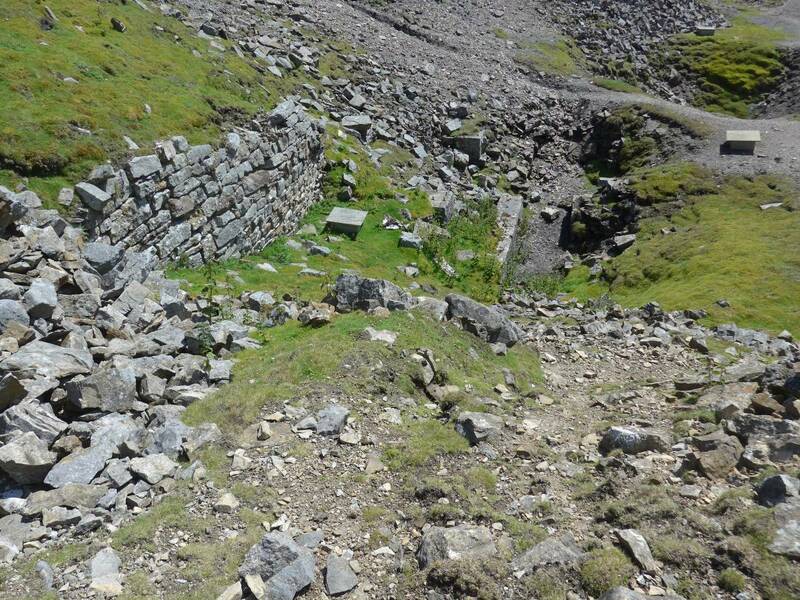 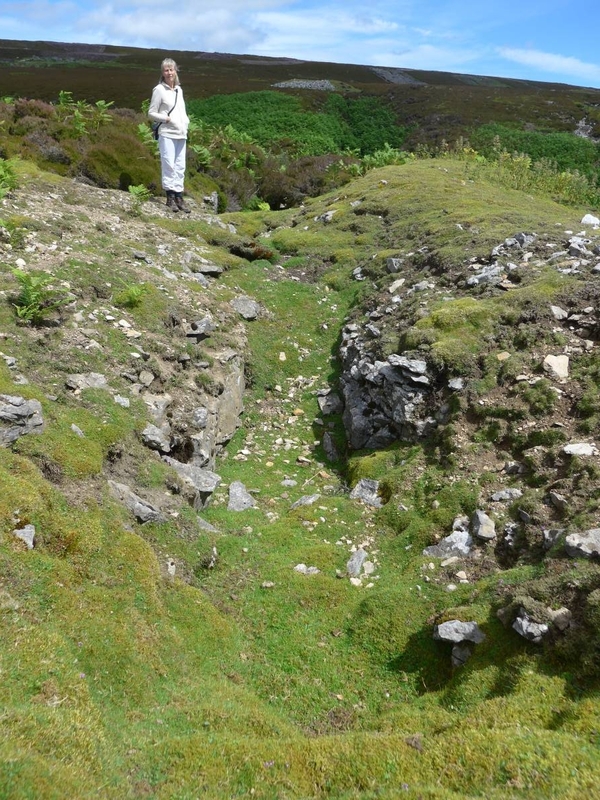 Below the track to the South is a partially buried waterwheel pit, indicating the site of a crushing mill, with the remains of four bouse teams nearby. The most interesting sites are further up the dale near Jingle Pot Gill. 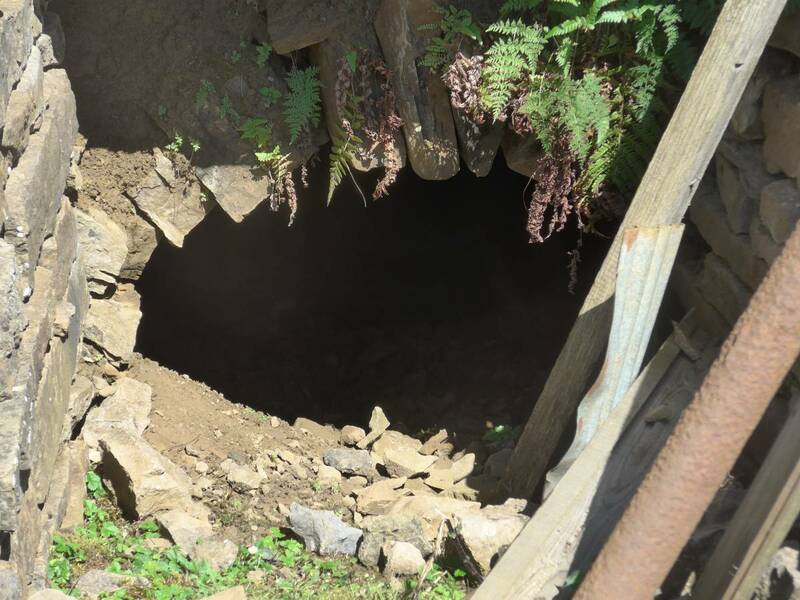 Below the track to the South at SE 01237 94795 is the portal of Jingle Pot Level, aka Apedale Head Level, and above to the North at SE 01293 94862 is an impressive opencast cut through the Main Limestone, with a similar cut to the West at SE 01133 94909. 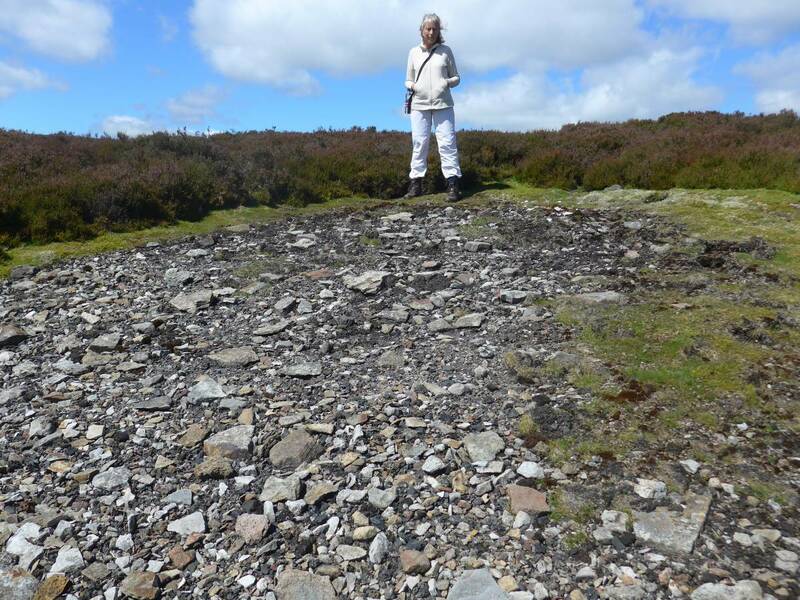 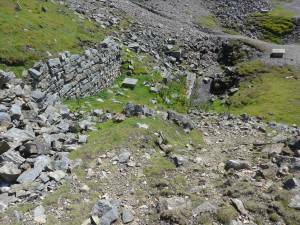 Well above the track and above Jingle Pot Gill are the remains of early medieval mining.Richard Smith has dated one of the bale smelting sites at SE 01179 95006 to the 10th / early 11th century ie pre-Conquest . 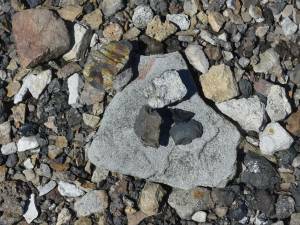 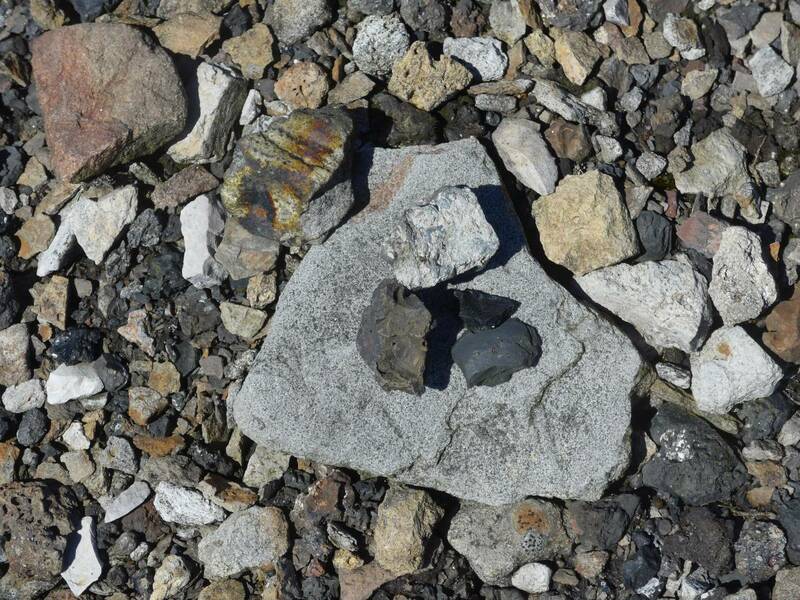 Nearby shallow shafts and shallow opencast trenches might well be the source of galena smelted there.